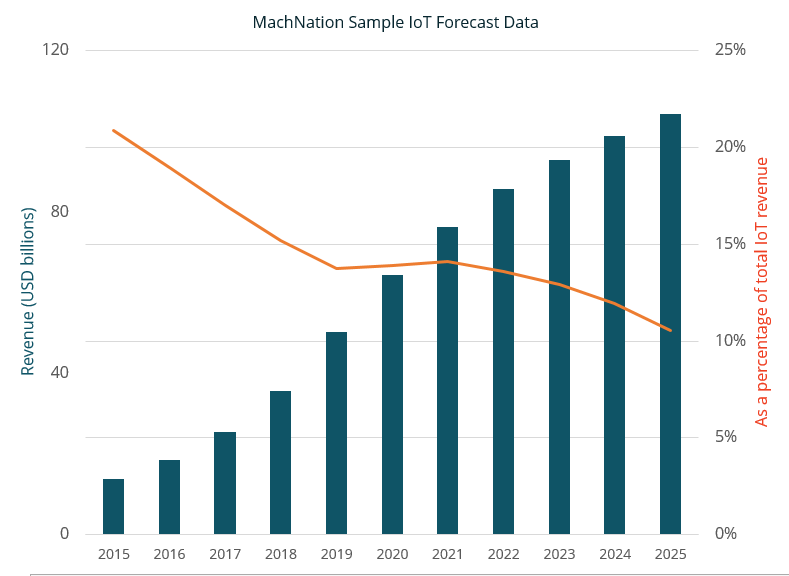 MachNation has created an IoT platform, application and services forecast to present insights into the state and development of the IoT market. This forecast provides forecasts for the technology components and sub-components making up an IoT solution over the period 2015-2025. MachNation partners have access to the full IoT applications, platforms and services forecast report and underlying report data.